We understand that it may not always be possible for you to visit us here in Spain and therefore we are proud to offer the opportunity for your to meet us a little closer to home. We feel this offers a more personal service for you to meet your Wedding Planner and the chance for a no obligation meeting to go over any questions and queries you may have about having your Wedding in Spain. 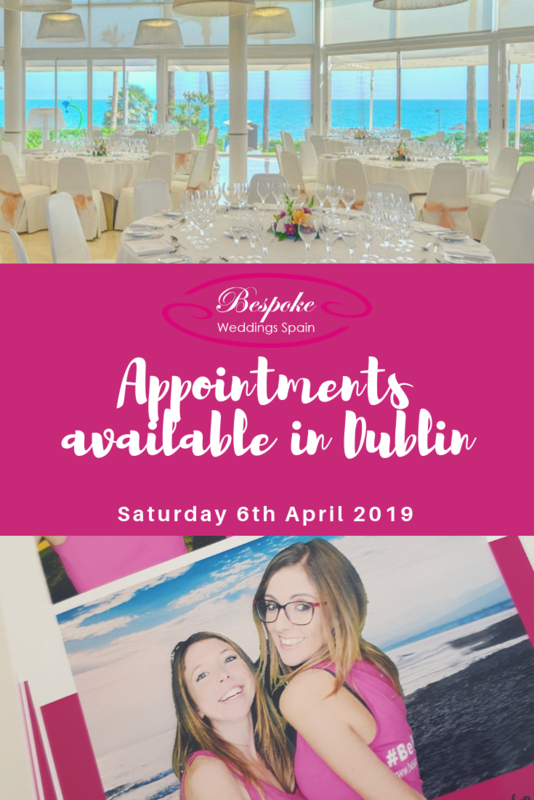 We make regular trips to both the UK and Ireland where we are happy to make appointments to meet with all couples looking to get married abroad.